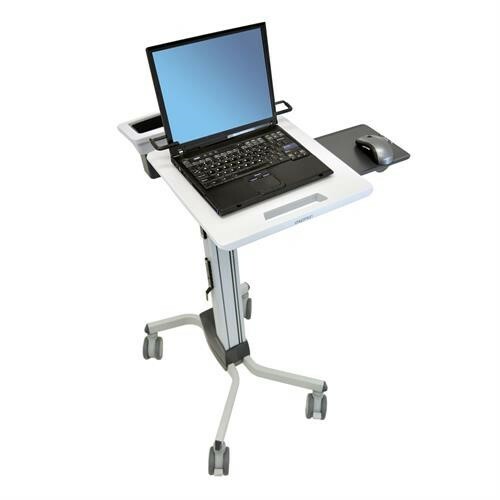 The Ergotron Teachwell Mobile Digital Workstation Cart allows you to take your projects wherever you need to go. Perfect for teachers, students and workers who move around a workshop. This mobile workstation cart centralises all your digital devices and provides you a clean and tidy workplace on the go. This multi-platform cart allows you to secure your laptop, monitor, keyboard, mouse or projection device all in the one location. 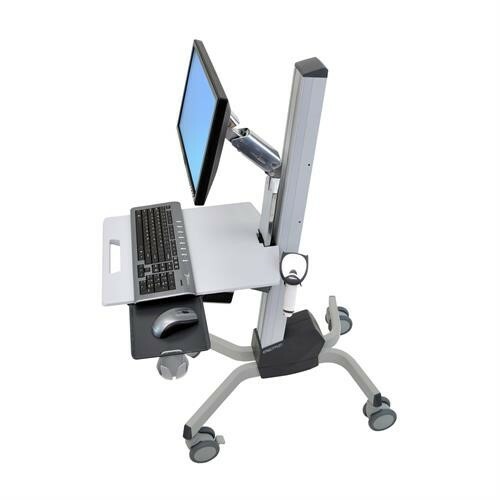 Height adjustable so you can work sitting or standing. Push the Ergotron Teachwell Mobile Workstation Cart through hallways or doors with freedom and ease, perfect for shared learning or teaching environments. Adjustable height and ample spacing for a chair between wheels gives you the power to find the most comfortable position needed. The two different platforms ensure your workspace can be kept tidy at all times, delivering you a pleasant work experience. castor spacing allows for chair/foot access.